November 4th marked the end of Daylight Savings Time this year. Have you set all of your clocks back around your home yet? 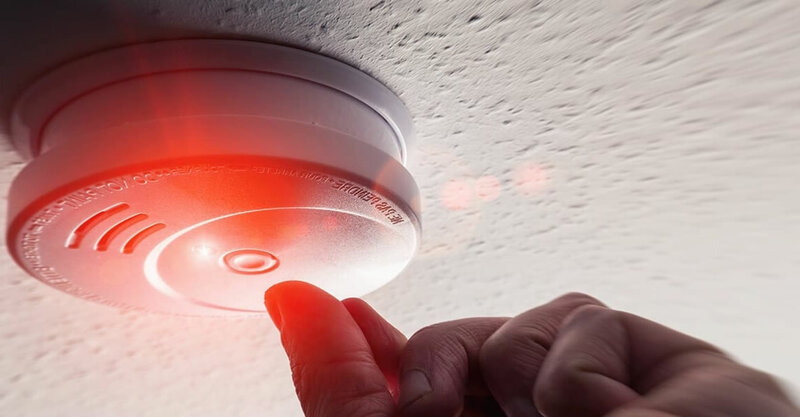 According to the National Fire Protection Association (NFPA), an estimated 800 lives could be saved each year in the United States if all homes had working smoke detectors. Make sure your home is safe and ready for winter with functioning smoke alarms. Has it been a while since you've last checked that furnace filter? With colder weather on the way, now is a great time to replace or clean your furnace filter to ensure that the heating system is equipped to operate smoothly with proper (and clean) air flow going through the system. In the late-fall and winter months, it is recommended that you check your filter monthly for best system performance. We all know that it is important to remove the lint and debris from the dryer vent after each use, but oftentimes, there is still plenty that is leftover and accummulated over time. The lint that can build up in your dryer is highly flammable, so once or twice a year you should consider washing the vent screen with soapy water, wiping down the drum, and vacuuming out the opening that the screen is inserted into to ensure clean and safe operation. Always take that extra precaution of unplugging the dryer before doing any of these. Now that the cold weather is here to stay, the likeliness that you'll need to open your windows for the next stretch of months is slim. For both home safety and home heating purposes, make sure that those windows are all locked and sealed up properly. An open window can allow both an intruder to enter and heated air escape the home, so save yourself the worry and money by locking windows tight for the fall and upcoming winter season. Have you had a furnace tune-uprecently? Experiencing any heating system issues? By neglecting your heating and air conditioning system, you run the risk of an early breakdown. Also, without proper maintenance, your heating and air conditioning system will not operate at its top efficiency – leaving you with unwanted, high utility costs. If your heating system is 15+ years old, breaking down frequently, causing high utility bills, or not keeping you comfortable, you should consider replacement and start learning more about your new HVAC installation options. Does your furnace need some attention? Our team would be happy to help!